Conveniently located with short, regular transfers, Park and Ride Stansted airport parking is simple and cost effective. With two great car parks to choose from, you can park-up, hop on the transfer bus and be at check-in before you know it. Book Stansted airport Park and Ride with HolidayExtras.com and buy with confidence - our Best Price Guarantee ensures you're getting a great deal. Planning ahead really does pay off, with pre-booking Stansted on-airport parking no different. With just two car parks, it's not only wise to secure your space before the day of your trip, but it can also lead to savings of up to 60% off Stansted Park and Ride gate prices. This means a lot less hassle on the day, and a few extra notes in your wallet. Stansted Park and Ride is the best way to save money, but still have the convenience of on-airport parking close to the terminal. The Stansted Mid Stay and Stansted Long Stay car parks run regular transfers 24 hours a day, taking between five and 15 minutes to reach the terminal. Not only are the car parks convenient, but security is also a top priority. 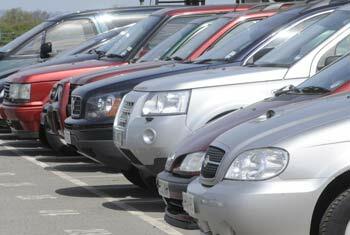 Both the Stansted on-airport car parks we sell are fully secured and hold the Park Mark award for safer parking. 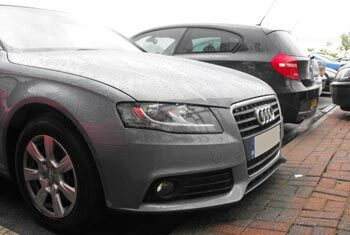 Your car will be protected by CCTV, 24-hour patrols and floodlighting. If you're already starting your holiday with Stansted airport Park and Ride, why not upgrade and make the rest of your trip hassle-free too? For just £1, you can add our SMS Traffic Assistant - a text service that lets you know what the roads are like on your planned route to the airport. Got an early flight? Why not book yourself into one of our Stansted airport hotels and capture some well-earned sleep. If you would like to enjoy some peace, tranquility and free food and drink before your flight, book yourself into one of our Stansted airport lounges. To add any of these to your parking booking, select the dates above, choose your car park and you'll find a range of add-ons on the following page.